As an hvac company All Week has been servicing the residents and business of Monmouth County and other the rest of central New Jersey, for over a quarter century. We repair faulty air conditioning units / systems and service and maintain functional systems. We also install new ac units; commercial rooftop and regular residential ac systems or mini-splits. We distinguish ourselves from the rest of the local companies in many ways. Our customers always have peace of mind employing us to handle their cooling and ac needs as we are fully licensed and insured. By consistently providing quality services over long years, we have become the one of the most re-known and trusted HVAC specialist in central nj. Our quality service comes with a guarantee. Despite the high quality of our service, our rates are very competitive. Due to the indispensability of a functional air conditioning unit in a home, our services are fraught with emergencies so we have already put up emergency crews that are always at alert, waiting for your call. They are ready to serve you no matter the time of the day so our lines are always available. We don’t charge for overtime no matter how long any service takes us. In addition to that we also offer free inspection of air conditioning units and free estimates. All electrical appliances usually break down when you least expect it but as for your air conditioning unit, you can count on us. We are always ready to serve you. Apart from offering repair, servicing and installations of HVAC we also render both emergency assistance and routine maintenance check. 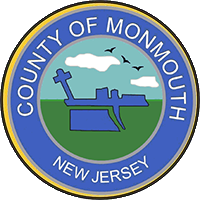 By virtue of our experience, countless residents of Monmouth County have enjoyed our services. Our highly dedicated technicians will be too glad to hit your home, assess the problem with your unit and fix it up immediately. To give our customers some flexibility and convenience, we offer a variety of service packages. Clients can now select the most suitable one for them. We have been able to strike the best balance between superior services and competitive prices. This is what most of our competitors cannot match. We are fully licensed to offer both residential air conditioning and commercial air conditioning all over New Jersey and we have been operating for the past three decades. 30 years’ experience is no joke. This speaks volumes about the quality of our service. No company can operate for 30 years with poor services. It is not uncommon for air conditioning units to break down when they are needed most. Whenever your AC packs up, just remember that we are only a call away. Whatever the problem is, we will fix it as soon as possible at the lowest competitive rates. It is our objective to ensure that your home is always cool all the time. We will set up an energy efficient unit for your home to reduce your energy bill. We will work with your budget. We make use of the latest technology to deliver satisfactory services all the time because customer satisfaction is our priority.